Last week I ran my second half marathon at the Richmond RunFest. The previous race was almost exactly 1 year ago. Here are a few lessons I’ve taken away from the experience. 1. The training matters. A lot. Good things don’t come easy. With this being my second half marathon I knew what was required and put in the miles during training to make sure I was ‘race-ready’. I knew I could run the distance, I knew I was going to finish, and yet I was still very apprehensive in the weeks leading up to the race. 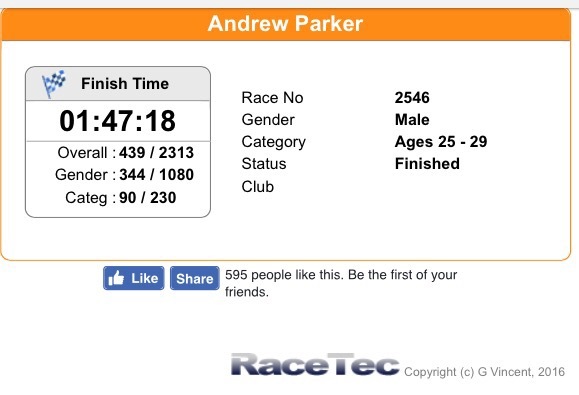 My concern was whether I had trained enough at the intensity required to beat my time from last year. It turned out I had, but looking at the split times from the race it was clear I had under trained for the final few miles. 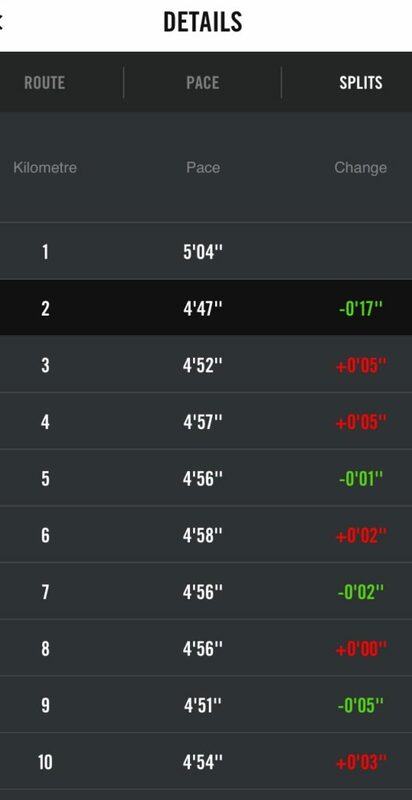 I hit a wall and my pace significantly slowed. From 17km onwards it felt like an uphill struggle (it wasn’t). In hindsight, I needed to train under race conditions to be prepared for the length of the race rather than relying on adrenaline to get me through. Lesson: train deliberately for the competitive environment. 2. Having a set goal and deadline date keeps me accountable. Knowing that I would be running on 18th September kept me focused and held me accountable. Without this it’s just too easy to make an excuse not to train. Self-discipline is overrated and not sustainable – at least not for me. Lesson: set goals. Set dates. Work towards them deliberately. No excuses. No delaying. Whether it’s having people to check up on how your training is going, a friend or colleague reminding you to ‘go and do that run’ you said you would, or having people to cheer you along on the race day itself, we all need support. Lesson: Your success requires the aid of others*. Ask for help and lean on people when you need to. In the months in the lead up to the race I followed Tim Ferriss’ recommended Slow Carb diet from the 4-hour body. It works! And I probably only followed it with 60%-75% efficiency. This isn’t to brag but to prove it’s possible. Allocating time for training and seeing regular improvements through data also shifts your mentality. Lesson: track your progress and build systems and routines when pursuing any goal. I’ve never identified as a runner. It’s something I do to get out and avoid being idle. I much prefer team sports if I have a choice. However, completing my second half marathon has led me to believe that we just impose these artificial barriers on ourselves. We create stories about who we are or who we aren’t and we take micro-decisions (consciously or unconsciously) each day to confirm our biases. Lesson: Whatever you want to do, it can be done. Maybe, just maybe, you need to get out of your own way. *H/T to 9others for the slogan.